Landon Reed was on top of the world. The money, the women, the status—he had it all until one bad decision nearly cost him his life. His father gave him three months to get his act together or be cut off from the family fortune and business. No house, no job and no money. His will and his patience are tested further when his father hires a nurse to whip him into shape. She may be little but she’s mean and it looks like Landon has finally met his match. Hi Readers and Booklovers! 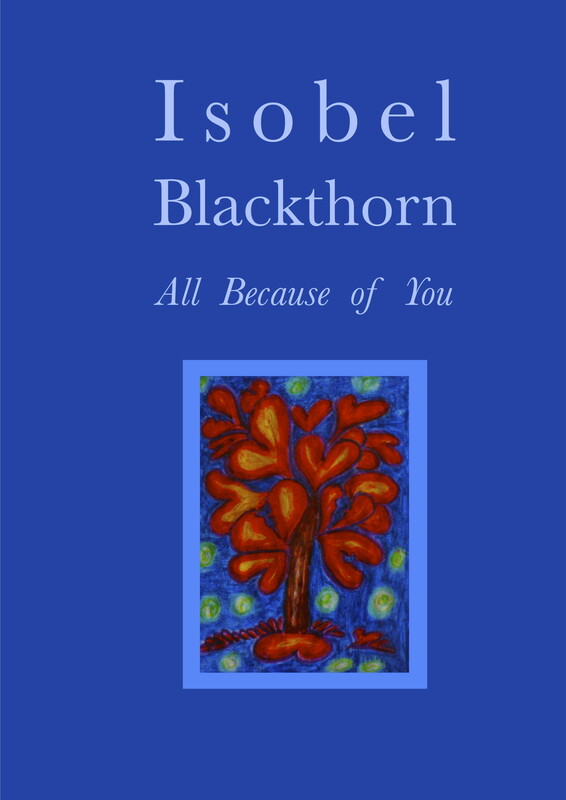 Today I am talking with Isobel Blackthorn. Isobel was born in London and moved to Aussie when she was 6. Isobel and her family spent around six years in and around Adelaide before they returned to London. Since then, she has travelled a fair bit between the UK and Aussie, and has had the opportunity to live in Spain and the Canary Islands. Welcome Isobel. Please tell our readers about yourself. I was born in 1962 in London. My family moved to Australia when I was six. We were ten pound Poms and we lived in and around Adelaide for about six years, before returning to London. I’ve been back and forth between the two countries and I’ve also lived in Spain and Lanzarote, Canary Islands. 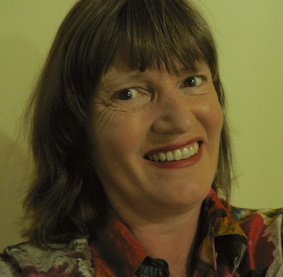 I’ve been a teacher, market trader, alternative life-styler and PA to a literary agent. I also have a fascination for the occult. I received my PhD in Western Esotericism from the University of Western Sydney in 2006. It was after that, when my twin daughters left home, that I dedicated my life to my real passion, creative writing. My short story collection, All Because of You, came out in 2012 and since then I’ve had short stories and some non-fiction pieces published in journals in Australia and the USA. I’m an early riser. Up before dawn, sometime around five, and I do my best writing in those still hours before my day takes over. Writing is a huge passion and after waiting for three decades of my adult life to get to this stage so I’m on fire. When you get to my age, there’s a sense of urgency. I can’t waste time dreaming or fiddling about with inconsequential things when I have big goals still to achieve before I slip the coil. At the moment I would love to hang out with Umberto Eco. I have so many questions for him. I’d love for him to show me around his extensive book collection and we could drink fine Italian wine and talk all day about medieval history and figures like Cagliostro, and esoteric sects like the Freemasons. There are many authors I would like to meet, and sadly some have passed from this life, like Doris Lessing, and my favourite Scottish author, Iain Banks. But with Umberto Eco I would have a unique chance to talk about both creativity and a shared special interest. I’m in awe of prolific writers, writers who can sustain a story for 500+ pages. I’ve just finished reading The Prague Cemetery, my third Eco to date, and I’m left with the feeling that something is missing in my life that can only be filled with another Eco. Asylum is my first novel and it has its basis in truth. Like the protagonist Yvette Grimm, I was an English-born visa overstayer and I really did invest my hopes in a palm reader’s prophecy that I would meet the father of my children before I was thirty. What a nut! That was the starting point for the story but I needed to make Yvette very different from me so I made her an artist. I can only paint walls. Yvette’s quest takes her to Perth, and into a world of actors, artists, dilettantes and no-hopers. She’s estranged from Australia and offers a unique migrant’s perspective on what it’s like to find yourself an alien in this land. 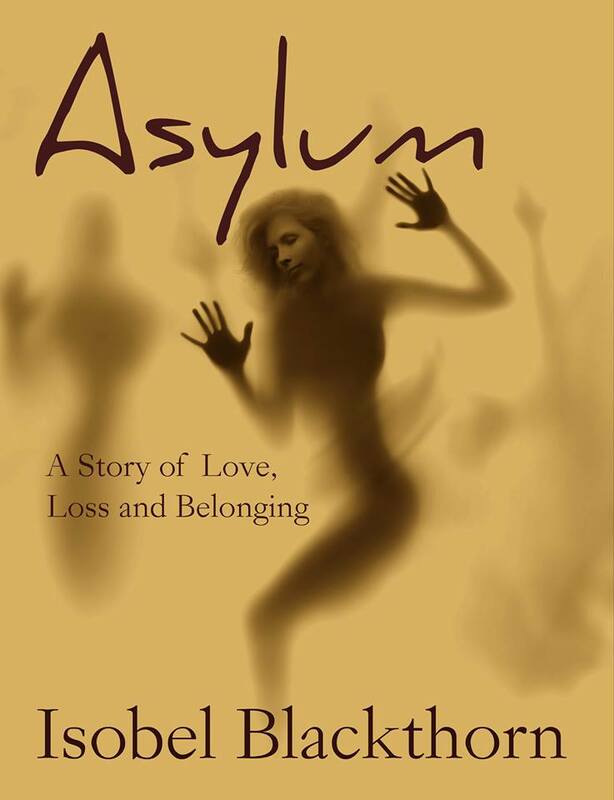 Asylum is basically a story of alienation. It’s also a black comedy about one woman’s struggle to make good the wreckage of her life, and heal her wounded heart. I’m working on two other projects. I’m venturing into horror, with more than a toe hanging outside that bed sheet. I don’t think I’m capable of straight ahead horror. Something always bends me back into satire. I’m inspired by the British film, “Sightseers,” directed by Ben Wheatley. How dead pan and matter-of-fact the killing was in that film. The other project is satirical too. It’s about a young woman trying to prise from her mother the details of her father’s disappearance. The occult in all its dimensions features heavily in the story. It’ll be huge when it’s done; my homage to Umberto Eco. This question makes me feel boring. People tell me I have a talent for inspiring others, and it is true that I’m able to create grand schemes in my mind, which is good for writing, but I’ve fallen foul of this so-called talent many times. Beware of castles in the air. And I can’t recall the number of times I’ve conjured a vast vision of possibility for a friend, unaware that she or he is sitting there waiting without much patience for me to finish, having lost interest hours before. I adore Doris Lessing, Alice Munro, Fay Weldon, Iain Banks, Peter Carey, Chris Womersley, and of course Umberto Eco. And so many many more. Free time? I have to remember to make that happen. Even when I’m reading, it isn’t really leisure time, because I have a sharp eye on everything the author is doing. I love hanging out with my girlfriends for lunch or coffee. I adore long bus journeys and visiting my two daughters who are living in Melbourne. I can’t see enough of them. Writing is a solitary life. A writer makes enormous sacrifices for the demands of her craft. I try to strike a balance by spending time in my garden, growing my own vegetables, and hanging out with my cat, Psyche, the gentlest, sweetest cat ever born. My second novel, The Drago Tree, is due to be released in September 2015, by Odyssey Books. Signing that publishing contract felt like stepping into another world. 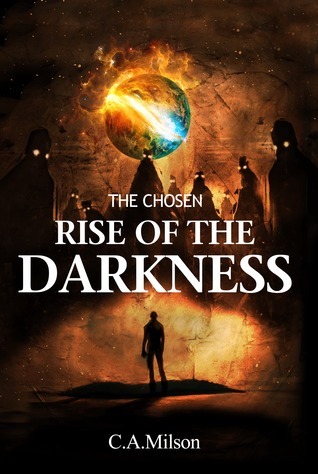 The novel is set in Lanzarote, a tiny island off the coast of southern Morocco, with stunning landscapes of calderas, lava flows and vast swathes of volcanic ash. The Drago Tree a romantic tale of geologist Ann Salter’s attempt to escape her life back in England, and find a new direction. 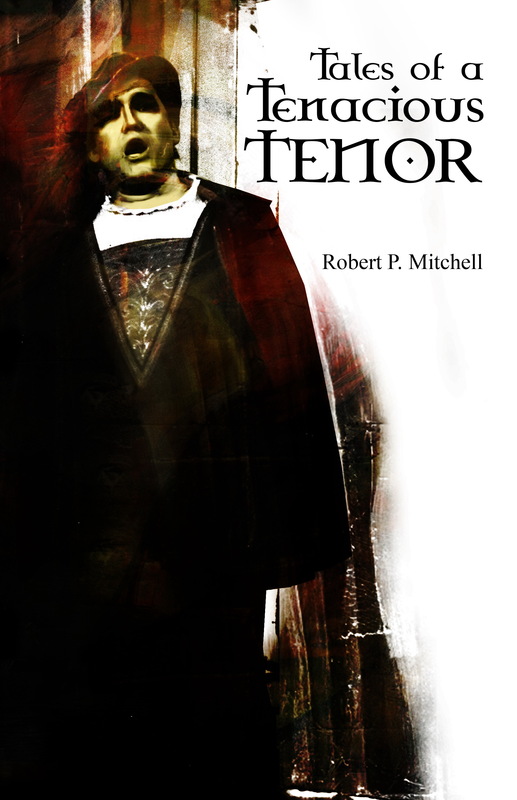 Only she’s haunted by memories of her estranged sister Penny. I was going through a hard time when I wrote the story and would escape for hours of every day into a world of tourism websites, history and geology websites, Youtube footage, photos and best of all, google maps, whose little man toured the island the year before. One time on street view I actually clicked my way down the length of the whole island. I have a blog containing all my latest news along with all sorts of information about projects I’ve been involved in, and my previous publications. I’ve really enjoyed this interview. Thanks so much for the opportunity. Hey readers. 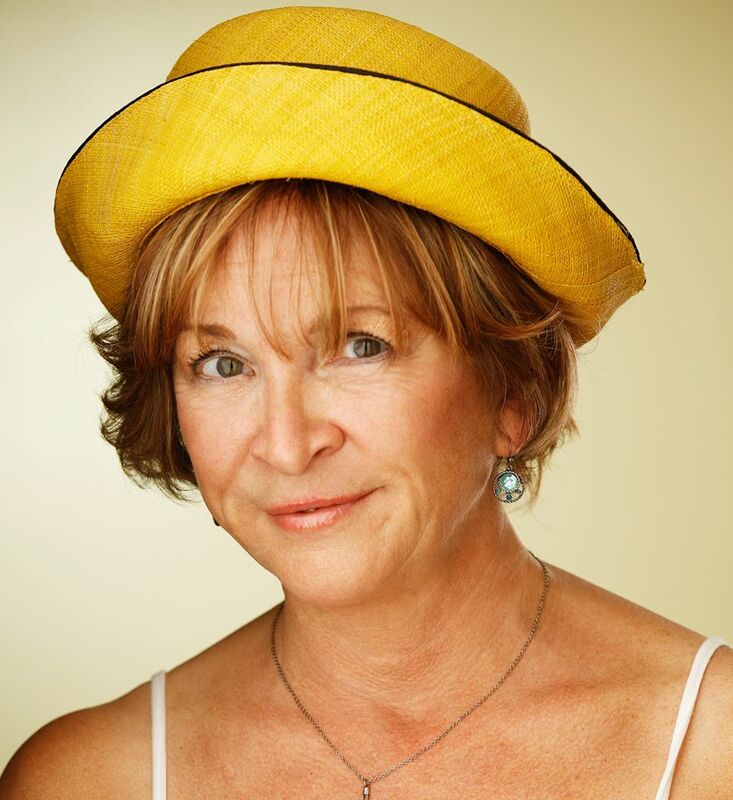 Today’s interview is with author, actress and voice-over artist, Madison Brightwell. Madison is originally from England, and she moved to California in 1997 and now lives in Redondo Beach. Madison, What inspires you to get out of bed each day? I’m very goal-oriented and I always seem to have something I wish to achieve or some project that I’m working on and inspired by. Usually the first thing I think when I wake up is a combination of, “I must do…” something or other, and “I want a cup of tea.” I’m English and the thought of tea can get me out of bed when all else fails! If you could hang out with one famous person from history for one day, who would it be and why? Great question! I’ve always loved Buster Keaton and in fact I wrote and performed in a solo show about him back in the 80’s. I have seen all of his movies and I had the pleasure of seeing his wife Eleanor Keaton on stage giving a talk about him in London. I think he was a genius performer and an interesting person. I would have loved to hand out on the movie set of one of his great films such as the General or Steamboat Bill and watch him work. He used to do all of his own stunts and some of them were pretty extraordinary, such as the time he had the whole side of a building fall on him. Of my four novels, all of which were written in the 1990’s when I was living in England, the most recent one is Russian Doll. What is amazing to me about that book – and about all of my novels in fact – is that many of the themes covered in the novel were things that are much more a part of my daily life today. The novel depicts a romance between an older successful art dealer and a young girl who works as a psychic for the police and who has a traumatic past that comes to light gradually through the book. Without giving away too much, the girl is not all she seems. She has gone into a sort of denial or dissociation for the traumatic things that happened to her and she is trying to escape from her past and change her identity. They say that life imitates art sometimes. When I wrote that book I had a layman’s interest in psychology only, and I worked mainly as an actress. Now, almost two decades later, I am actually working as a psychologist and a licensed mental health therapist here in California. In my work I am faced every day with the kids of issues that this character is facing. It seems almost premonitory that I wrote that novel when I had no idea at that time that the themes depicted would be so much a part of my life many years later. All of my other three novels – particularly the other two psychological crime thrillers – are also somewhat predictive in this way. For example, they all four have something in them that deals with the issue of prescription drugs having unwarranted and unexpected side effects. I now work with a medical doctor who is very against the misuse of prescription medications that is so prevalent in this country at the moment (as am I) and in fact he made a documentary called “American Addict” that directly addresses this issue. I find it extraordinary that I was writing about these things 20 years ago (in the case of my first book, Most Diminutive of Birds, which I started writing in 1986) and now they are very topical and pressing issues that I deal with every day in my work. I am in the middle of my doctoral program and due to graduate later this year so for the next few months at least I will probably be focusing mainly on my doctoral project and possibly on an accompanying self-help book in the health field. Both of these will probably relate to the issues of addiction, chronic pain and trauma, that are the major focus of my work as a therapist. After that, I am looking forward to getting on with my next novel project. I already have the title, location and theme of the book and I am excited to begin working on it! It is called “Lunada Bay” and it will be my first novel set in Southern California where I now reside, in a little beach community near my home. As I have worked in the field of addiction for a few years now and that is an area full of dramatic potential, the novel I’m sure will focus on addiction or an addiction facility in some way, and it will probably be another psychological crime thriller, since that is my preferred genre. Yes, lots! As well as writing, I like to do just about anything creative. I love to act, sing, dance and do improv; I can do a variety of different accents; I can type at about 110 wpm; I love Lumosity games online and am currently ranked in the 93rd percentile for Speed games; I play several musical instruments including the harp; I’m a great whistler! In terms of contemporary novels I am a huge fan of Ruth Rendell (who is also called Barbara Vine for some of her books). She is an English author who specializes in psychological crime thrillers and many of her books have been turned into television series in England as she is very popular. I was very flattered to be compared with her once, when somebody read my first novel. For more literary works, I love the novels of Thomas Hardy, The Bronte sisters and Jack London. I visited the home of the Brontes in Yorkshire and they occupy a special place in my heart as I am also from Yorkshire. As for singers, I’m a big fan of swing and jazz ballads from the 1930s and 40s, so I guess my favorite would have to be Ella Fitzgerald. I also love Sting, as he hails from the North of England too, and I like the political nature of his music now. I love swing and ballroom dancing; I love hiking and there are many wonderful scenic spots near where I live so I’m very lucky; I have three cats and sometimes it’s fun just to hang out with them; I enjoy gardening and I have a rooftop deck where I grow herbs and vegetables in pots; I love acting and singing and I occasionally perform in plays or musicals; I love movies and I’d love to see one of my novels make it to the big screen one day. Where can fans find you on the web? Amazon – All of my books are now available as audiobooks, read by the author. As an actress and VoiceOver artist, I have been narrating other people’s audiobooks for many years, so I thought I would be the perfect person to read my own. I also had fun recently making four little book trailers for the novels and they can all be found on YouTube. Thanks Madison for being my guest today. Hey readers. 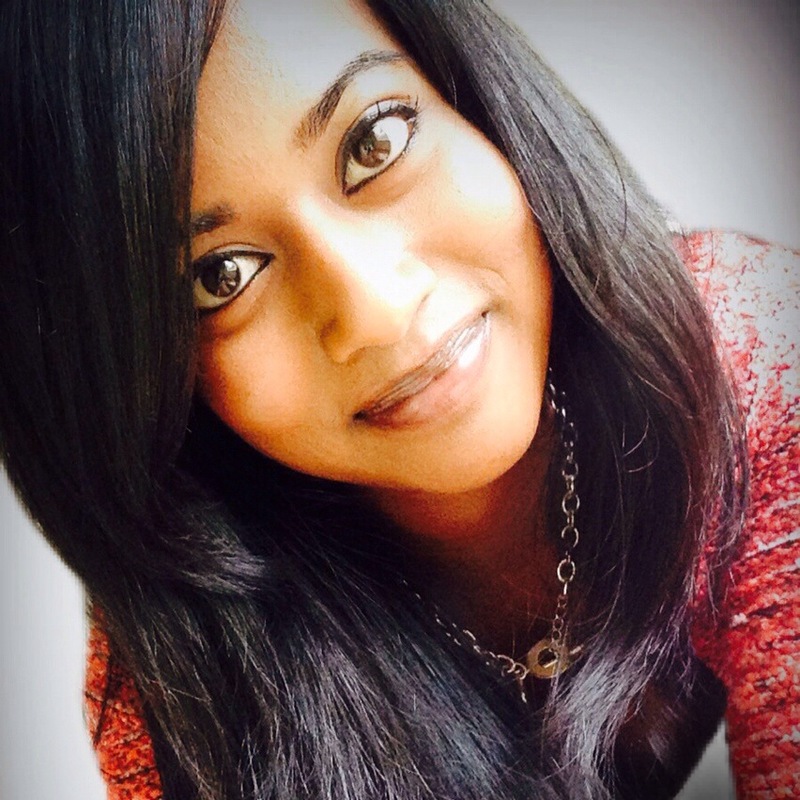 Today’s interview is with debut author, Danielle Maistry. Danielle was born in South Africa and moved to Melbourne, Australia in 2002. She is currently finishing her Bachelor of Psychological Sciences, and aims to Master in Clinical Neuro-psychology, if her love for animals doesn’t come in the way! Danielle’s passion for writing stems from her enjoyment of escaping into different worlds; through her writing, she hopes she can give the reader an opportunity to enter these worlds, and be apart of the compelling and exciting action she loves! Knowing that I’m blessed to still have the gift of life! There’s so much to do and so many new opportunities to explore and learn something new. That’s a big question… Grade 6; my first book was about me being in a forest and meeting talking animals (as every kid would imagine!) Then soon after, I wrote the beginnings of a short story which, years later, ended up turning into my first published novel. In 2007, the end of Grade 6, I went to Tasmania with my family for a holiday. One of the places we went to was Port Arthur, an old convict penitentiary. Upon arrival, we were given playing cards which were assigned to a real convict. There was an area where we went to see which convict our card was assigned to. Mine was 3 of hearts, assigned to a young convict boy named Walter Paisley. After reading up on him on the internet for my own curiosity, the resource I read said that he seemed to have lived a life which was deemed a ‘failure’. I felt bad for the poor boy! So that was when the curiosity of his life and his time in prison, as well as the entire Port Arthur convict history, began to brew in my mind. Another Historical novel hopefully! Two are on the back-burner at the moment; deciding whether to continue on with the one based in Ancient Rome, one or the one based in Medieval England. Thanks for being my guest today Danielle. Danielle’s debut novel is coming later in 2015 from ASJ Publishing.